The official Skandia Team GBR Paralympic Team representatives were announced yesterday. We knew unofficially after Miami, but no announcement could be made until the British Paralympic Assiciation had approved the nominations. Six of Britain’s top disabled sailors have today been named as part of the Paralympics team for the Beijing 2008 Paralympic Games. Britain qualified and will be represented in all three Paralympic boat classes at the Games – the Sonar – a three-person keelboat, the SKUD – a two-person keelboat or and the 2.4mR single-handed keelboat. The British Sonar crew in Beijing will be the same as Athens in 2004, with skipper John Robertson, aged 36 (Sunderland), again leading 22-year-old Hannah Stodel (West Mersea, Essex) and 31-year-old Stephen Thomas (Bridgend, South Wales). This team, which won world championship golds in 2005 and 2006, finished sixth at the Paralympic Games in Athens in 2004 so will be looking to better this placing at the Games this September. Thomas, who now lives in Cardiff, is a talented multi-sport athlete who also represented Great Britain at the 2006 Paralympic Winter Games in Turin as part of the Ice Sledge Hockey team that finished seventh. 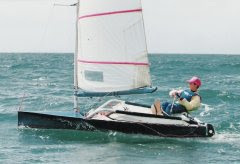 In the 2.4mR one-person keelboat, Southampton’s Helena Lucas will represent Great Britain. Lucas, who turns 33 at the end of this month was a reserve for the Sonar crew in Athens 2004, however this will be her first Paralympics as a full competitor. 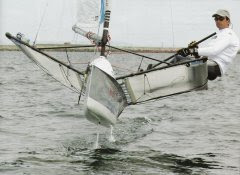 Lucas, who finished fourth in the selection regatta in January – the Rolex Miami Olympic Classes Regatta – won silver at the 2006 World Championship to secure Britain a place in this class in Beijing. Finally, with the SKUD-18 class making its debut to the Paralympic Games in Beijing Paralympic newcomers Alexandra Rickham (Epsom, Surrey) and Niki Birrell (Knutsford, Cheshire) will be looking to make a mark for GB in this inaugural competition. 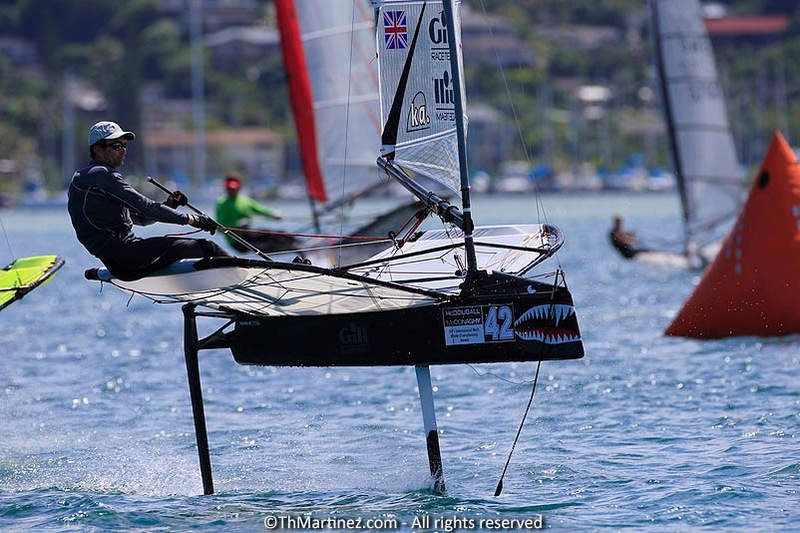 Twenty-one year-old Birrell previously sailed in the Olympic 470 class before starting his Paralympic sailing career in the 2.4mR single-handed keelboat. He joined forces with Epsom’s Rickham, who will celebrate her 27th birthday during the Beijing Paralympics, to vie for selection in the two-person SKUD class. The pair finished fifth in the Rolex Miami Olympic Classes Regatta in January before taking bronze at the US Disabled Open Midwinters regatta in March to secure their berth in this boat class. ParalympicsGB Chief Executive Phil Lane, said: “It is fantastic to be able to name the British sailing squad for the Beijing 2008 Paralympic Games. “With the SKUD class making its debut to the Games in September we are delighted to be taking a larger number of sailors to the Games to contend for more medals than ever before and we hope to see the squad live up to sailings reputation in Britain as one of the country’s most successful sports. Sailing Team Manager Stephen Park said: “We’re pleased that the RYA’s nominated sailors have been accepted as part of ParalympicsGB for the Beijing 2008 Paralympic Games. The Beijing 2008 Paralympic Games opens on 6 September and closes on 17 September. The sailing events at the Games take place in Qingdao in East China at the Qingdao Olympic Sailing Centre and will run from September 8 with finals scheduled for 13 September.